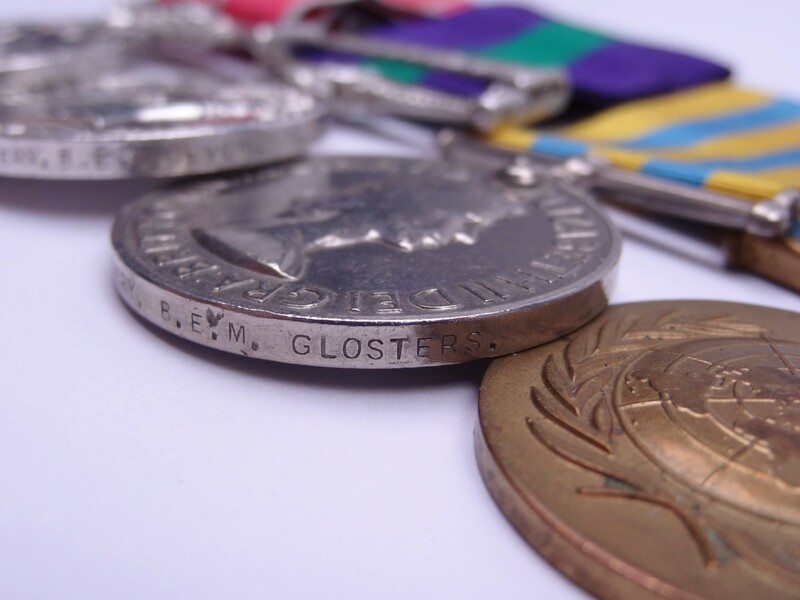 Gallantry : B.E.M. 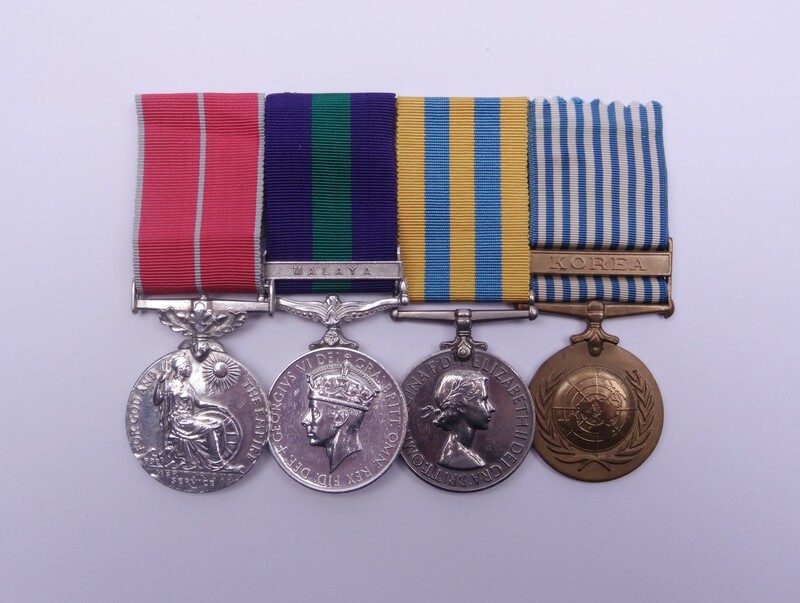 GROUP OF 4 MEDALS TO SGT. R.G. AVERY, GLOSTERS/D.R. The fiery fighting citation Malayan Emergency jungle patrol BEM group to a Glosters and Devonshires Sergeant, consisting of: British Empire Medal George VI (Military Division) to 14472379 Sgt. Reginald G. Avery, D.R. 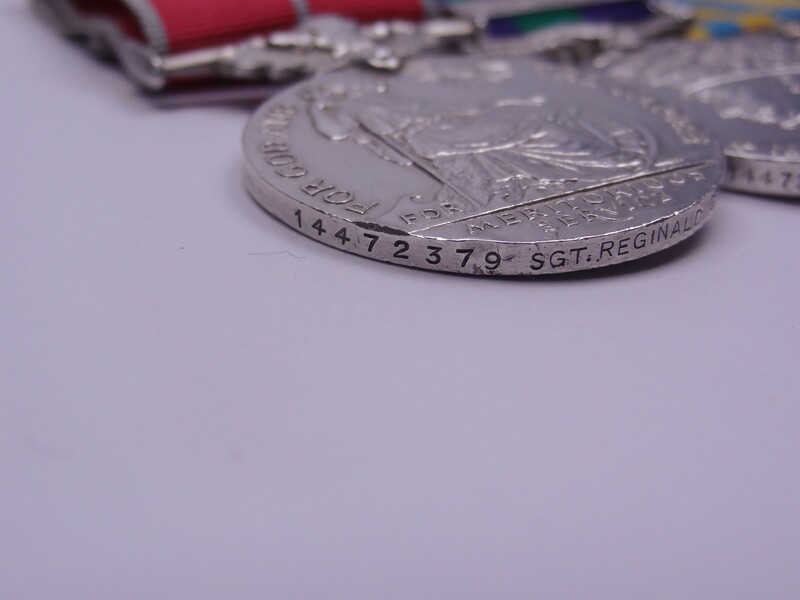 ; General Service Medal with Malaya clasp to 14472379 Sgt. R.G. Avery, B.E.M., Devon. ; Korea Medal to 14472379 Sgt. R.G. 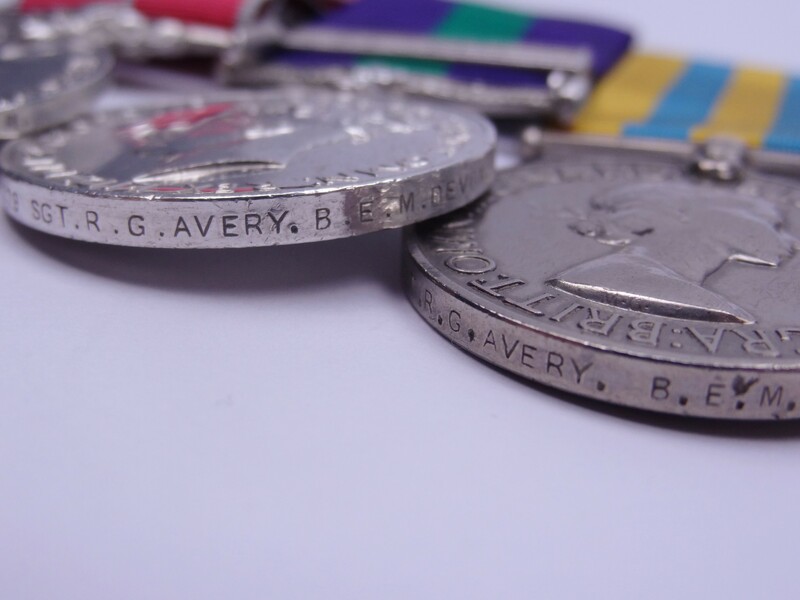 Avery, B.E.M., Glosters. ; UN Korea Medal. B.E.M. Gazetted 20 Oct 1950: "From Aug 1948 Sgt. Avery has been leading jungle patrols almost continuously for eighteen months. His skill and patience has resulted in his being successful in killing or capturing a considerable number of bandits. Although he has not had the good fortune to be engaged in any spectacular action, his keeness has never flagged and his leadership has always been of the very highest order. His determination, tactical judgement, initiative and alertness have been outstanding. By his consistent cheerfulness and devotion to duty, often in the most trying circumstances, he has set a magnificent example to his brother NCOs." Newspaper Extract 'B.E.M. 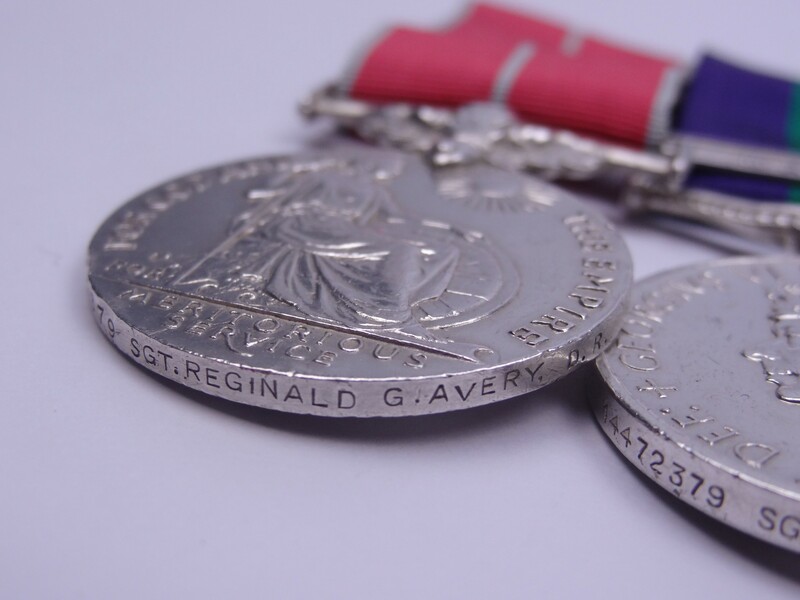 for Devonshire Regiment Sergeant' "Awards for gallant and distinguished service in Malaya between January and June were announced last night in the London Gazette. The D.S.O. goes to Lieut.-Col. Robert George Victor Fitz-George-Balfour, Coldstream Guards; Lieut.-Col. Cyril Graham, 10th Gurkha Rifles; Lieut.-Col. John Stratford Sanderson, Scots Guards. The bar to the Military Cross is awarded to Maj. Angus James Donald MacDonald, Q.O. Cameron Highlanders, and the British Empire Medal (Military Division) to Sergt. Ronald Avery, of the Devonshire Regt."